Build acting skills by focusing on movement and ensemble work! Stage movement and participation in an ensemble are the foundations of advanced scene building, musical theater, and even improv. These workshops will focus on movement, and also will introduce musical theater pieces as accompaniment and some basic concepts of improv. The workshops will conclude with a simply staged share performance. Comfortable clothing that allows children to move freely is recommended. Teens, bring your parents! Parents, join your teens! Basic concepts will be reviewed, and new short form games will be introduced each week. Some improv experience (even as an audience member) is helpful, but not required. Parent participation is encouraged, but not required. Participation will be open to younger siblings for one or two weeks too! ZAP is a hilarious comedy recently written for teen actors that includes (and introduces actors to) multiple dramatic writers, genres, and styles including Shakespeare, Russian dramas, English mysteries, New York comedies, Southern dramas, avant-garde works, and performance art. Original models for each style (Shakespeare, Chekov, Agatha Christie, Neil Simon, Tennessee Williams, and Samuel Beckett) will be discussed, and various accents and acting styles will be explored. Participants who’d like to direct a scene will also be given the opportunity. A staged reading of the play will be presented for an audience on August 6. A Registration Form to download and print is online. You’re also welcome to email classes@nbyt.org or call us at 860-515-8115 with any questions. Previous Previous post: Spring Fling Fundraisers! 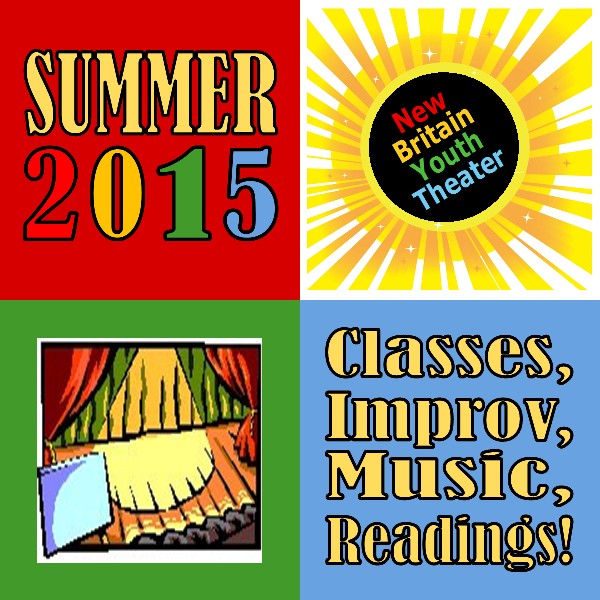 Next Next post: Bring Theater into YOUR School with NBYT!